The 40 foot rock face took the climber only about a minute and a half to scale. The long exposure left behind some interesting artifacts—the brighter areas created by his headlamp reveal where he took a little extra time. 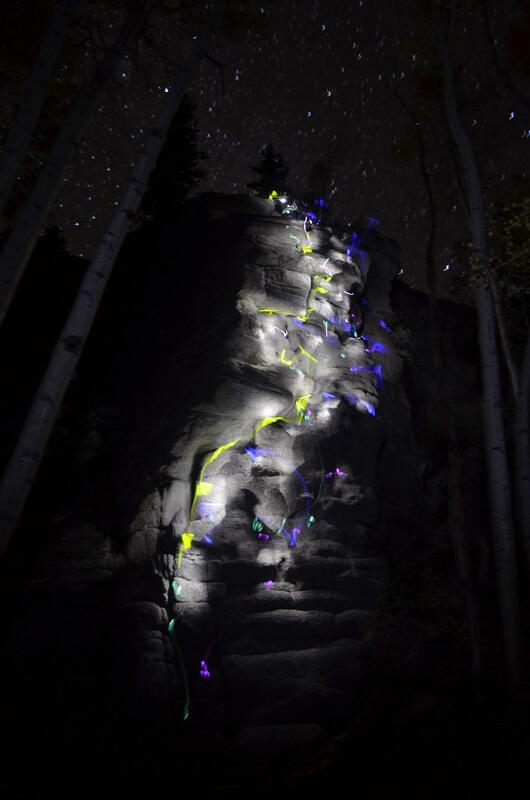 The night climb took place in Independence Pass just outside of Aspen, Colorado. This is a really fun and easy photography trick to try out on your own. All you need are some glow sticks (or small lights of any kind), a dark surrounding, and a camera set with a long exposure! A shutter speed of one or two seconds will start to produce results similar to this photo.